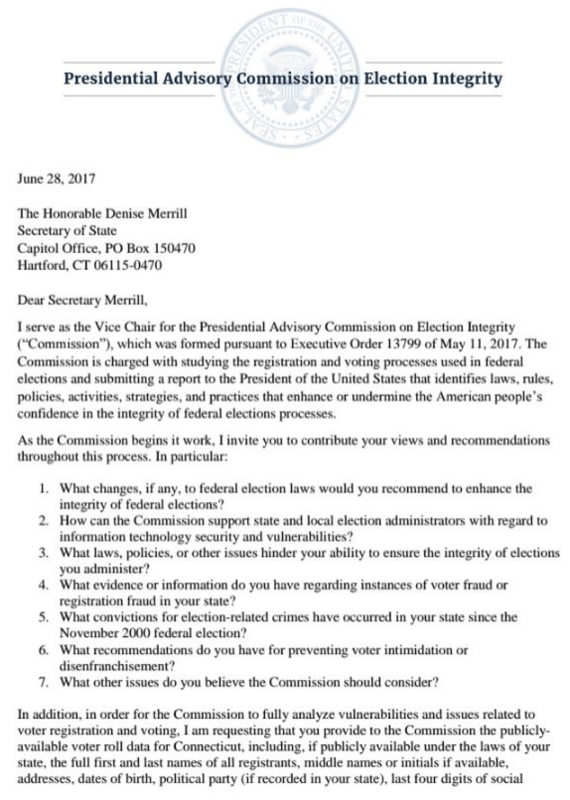 The President’s “election commission,” established to cover his allegations that millions of illegal voters prevented His Vulgarity from attaining triumph in the popular vote, is requesting voter roll data from all 50 states. Nevada is included in this list. 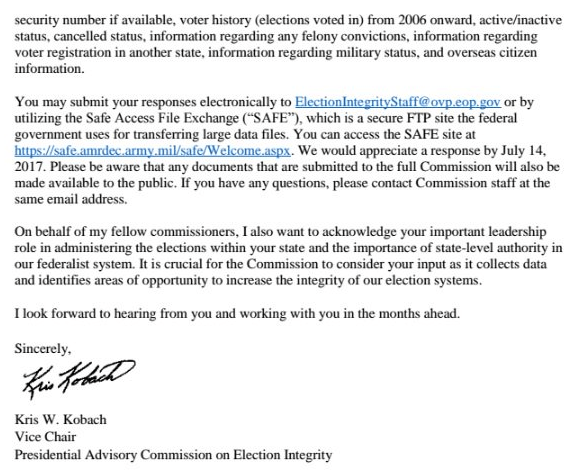 “On Wednesday, all 50 states were sent letters from Kris Kobach — vice chair for the Presidential Advisory Commission on Election Integrity — requesting information on voter fraud, election security and copies of every state’s voter roll data. They’ve Only Just Begun: Hacking the Silver State? 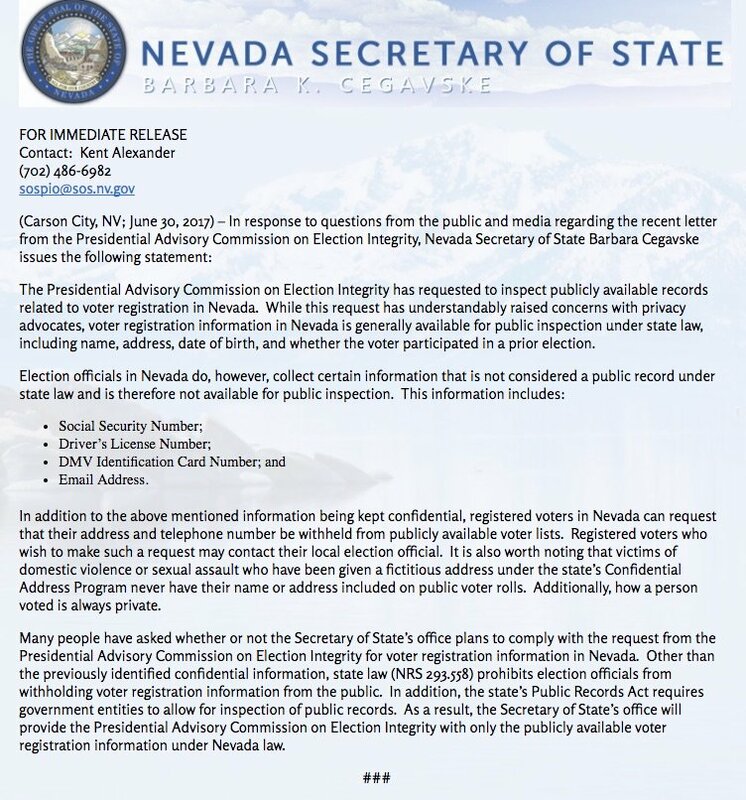 If the President of the US isn’t all that interested in how the Russians hacked and meddled in the 2016 election, voters and voting officials in the US should be, and this includes the state of Nevada. There are several layers to the issues, the voting itself and the processes which are elements of the total election system.